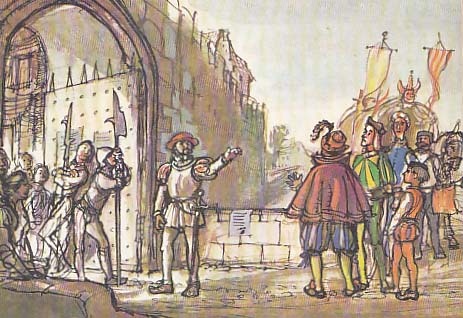 Travelling actors turned away at gates. Shakespeare was addicted to antithesis - it is what makes him so funny and so profound. These are excellent examples. Helping your students become adept at inventing and coloring antithesis should add clarity, richness, and humor to their readings and performances.